The distinctive Colonial Williamsburg architectural style and beautiful trees help make Dunwoody Georgia a stunning Atlanta suburb. However, storm damage and consistent tree growth are a few of the factors that require a professional tree service in Dunwoody Ga.
Over time tree limbs become overgrown and residents may choose to improve their landscape and remove trees from their yard. Often, old tree stumps and dead or damaged trees become hosts for insects and disease. Whatever your tree care needs are, we provide an affordable Dunwoody tree service throughout the city. Emergency Tree Removal – Dead, dying or dangerously-located trees generally need to be removed for personal or public safety. We offer 24/7 emergency tree removal services in Dunwoody to help you protect your home or business. Tree Removal – The location of a tree can significantly impact the aesthetics or obstruct the view from your property. Improving the landscaping and clearing a lot for new construction are common reasons customers contact us for tree removal in Dunwoody. Tree Trimming and Pruning – Pruning is an integral process of maintaining a healthy, growing tree. By removing certain branches, and doing proper trimming, the tree grows into a more attractive and safer shaped tree. Debris and Limb Removal – Debris and overhanging tree limbs can pose a hazard to pedestrians, vehicles, and/or create a community eyesore. We remove fallen debris or tree limbs from many Dunwoody neighborhoods. Stump Grinding and Removal – Tree stumps may be removed or ground for aesthetic or practical purposes. To remove stumps, we use a specialized stump grinding process to prevent damage to the surrounding landscape/design. Crane Services – For the most extreme tree removal projects, we can bring in a crane to assist with the tree removal process. This is an essential safety measure when trees or their limbs encroach on buildings that prevent them from damaging surrounding property. In many cases, large trees are simply too big or cumbersome for the average Dunwoody homeowner or business owner to handle. 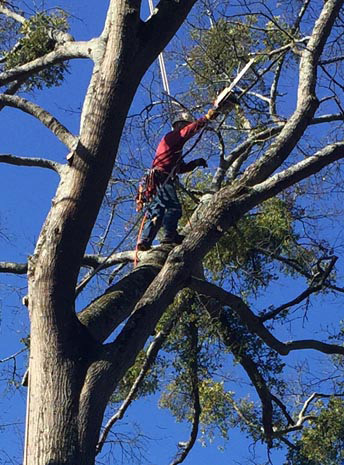 Our Dunwoody tree service team will get the job done safely, quickly, and without risk to health or your property. If you need a reliable tree service in Dunwoody Georgia, we are protected, insured and fully bonded. Our workers have experience dealing with a wide range of tree care situations. We provide an in-depth and free analysis that suggests the best solution, then use expert judgment and care when handling trees on your property. For both homeowners and business owners with trees on their property, it may be difficult to figure out how to make optimal use of your space. Some trees may be pruned or trimmed to add aesthetic or practical value to a property, while it may be more effective to remove other trees completely. Our Dunwoody tree experts will make themselves available for a free consultation according to your schedule so you can get a better sense of what you need. Many years of experience go into the analysis and suggestions our experts will provide at your initial consultation. 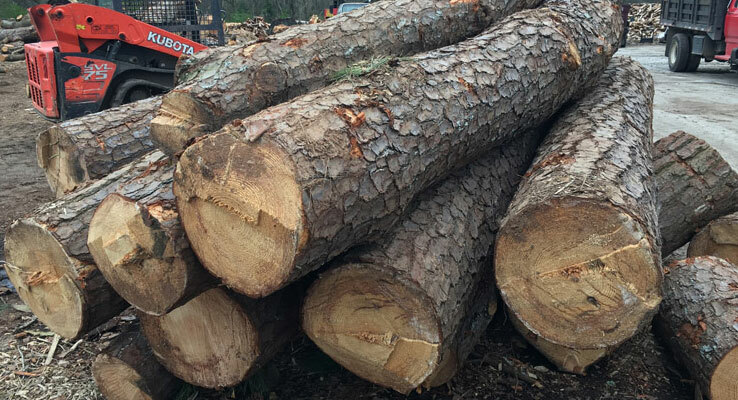 Once the consultation is completed, fasttreeremovalatlanta.com will give you a fair quote and accurate timeline to complete the tree service at your Dunwoody home or business.